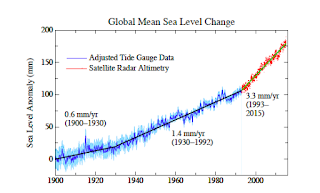 Dr. James Hansen, who was the lead climate scientist at NASA, and sixteen other top scientists have concluded the Greenland and Antarctic glaciers will melt ten times faster than previous estimates, leading to sea level rise of ten or more feet in as little as 50 years. In their newly released study: "Ice melt, sea level rise and superstorms: evidence from paleoclimate data, climate modeling, and modern observations that 2 ◦C global warming could be dangerous," the scientists warn that "Amplifying feedbacks in the Southern Ocean and atmosphere contribute to dramatic climate change in our simulations." They are describing an ocean feedback loop near Antarctica that results in cooler freshwater from melting glaciers forcing warmer, saltier water underneath the ice sheets, speeding up the melting rate. A unforgettable video by director and composer, Kenji Williams, compiling views from NASA and other sources of the Bella Gaia, the beautiful Earth. The video was supported by NASA, the Baum Foundation, the Foundation for Global Community, the Denver Museum of Nature and Science and is a production of Remedy Arts, LLC. Please share this wonderful and unique view of the Earth and its environment. 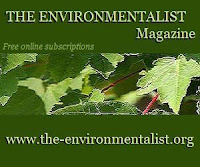 The Environmentalist is a public interest website. All writers and editors donate their time. Our fundraising drive of small donations allows us to defray our costs and continue to offer stories without a paywall. Any donation, no matter how small, will help us to keep going. Donations are through PayPal (they are donating their services) via the button below or at this: link. Dr. James Hansen has published, with sixteen renowned scientists from around the world, the direst warning about climate change, ice melt, sea level rise and superstorms to date. We have published the abstract from the paper and have provided a link to the full study. The warning from the paper cannot be over-emphasized. Sea level rise is real, it's highly dangerous, and must not be ignored. The paper states that, when ice sheets have melted before due to natural forcings, the consequences have been catastrophic. In the post-industrial age, where the melting is greater than during the paleo melts, the science points to even more catastrophic consequences. If the ocean continues to accumulate heat and increase melting of marine-terminating ice shelves of Antarctica and Greenland, a point will be reached at which it is impossible to avoid large scale ice sheet disintegration with sea level rise of at least several meters. The economic and social cost of losing functionality of all coastal cities is practically incalculable. Large scale ice sheet disintegration with a sea level rise of at least several meters. That means, according to the report, the functional loss of all coastal cities. The report points to unpredictable and sudden melts where the ocean is warming and increased superstorms and sea level rise--with the implication of a threat to civilization itself--as a result. As there is no doubt politics will try to explain or confuse this report, we are posting the actual abstract and link to the report, which, while scientific, is clear enough to be terrifying.